I have collected LEGO since I was... I dunno, 4, maybe 5. I bought and received so many sets when I was young that, at the moment, I literally have no idea where to put it all. I do still collect, however. Though I limit myself to Star Wars. Yep, shouldn't be long now. Can you buy them in Spain, yet? I expected as much. From what I know, there are some stores in the U.S. that have them, but that's about it. 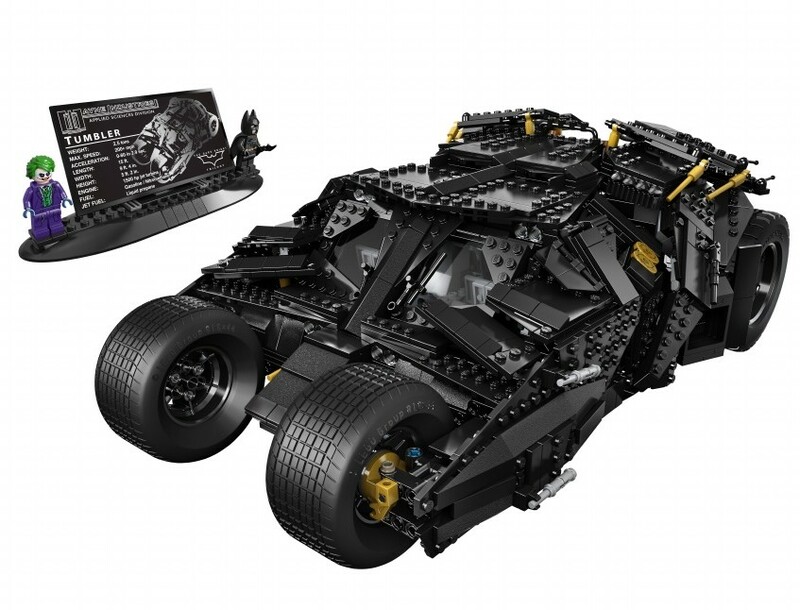 The Batman and Superman LEGO is on sale since January, though, in the U.S. and U.K. Though not the Captain America-set yet, or the Bionicle- versions. Last Saturday I saw an offer of the series 7 for 1,90â‚¬ (I've seen the series 6 for 2,40â‚¬ each )... and TarzÃ¡n (jungle boy), the Piper and the Black Knight came to home. They join the Highlander and the Roman Legionary from series 6. 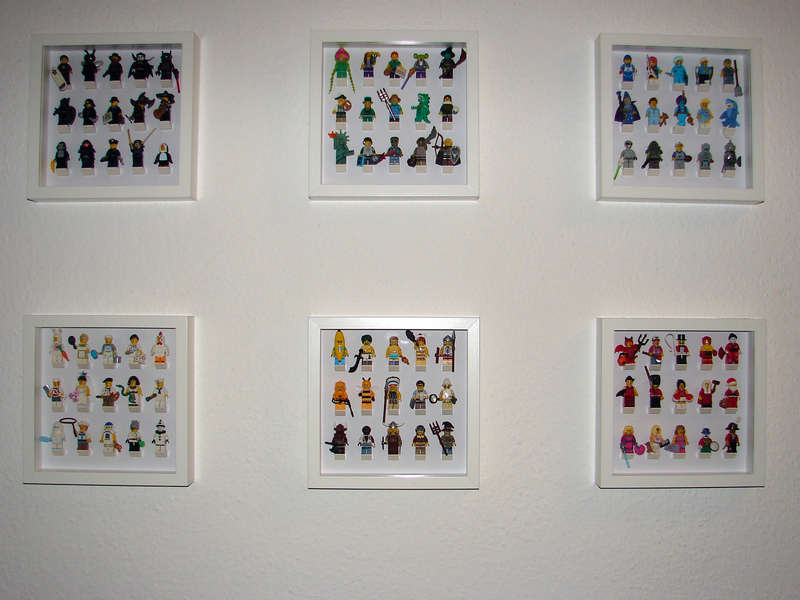 Total account: 23 minifigs from bags. 11 Star Wars characters. 5 from legoland and old sets, plus 3 'primitives'. Lego just announce this is being released. 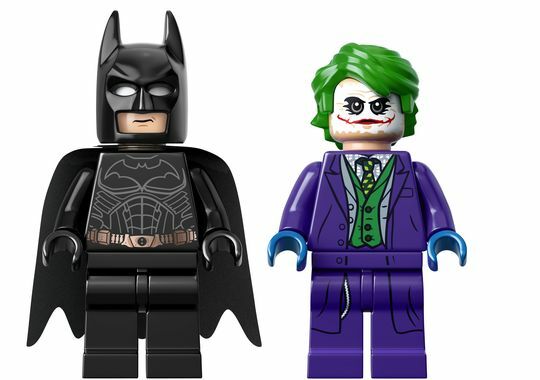 FREAKING LEGO HEATH LEDGER JOKER!!!!!!! I have the cheap one and the big one is on his way, (Giant-Man looks awesome!) and I hopefully will get Black Panther in the next few months! Unfortunately, Lego's prices have arise so much. Even the minifigures' blind bags (over 3â‚¬ ). A cool $200 when I was in Florida, it's the only 100+ set I've got so far but as I now have a job (and a student loan...) maybe that will increase in the near future. Jealous. I want both the main Simpsons sets so badly; I've got all 32 of the separate figures but those main sets cost a freaking fortune over here. I really like this set, especially Mr. Freeze mech is really cool and fun to build. Plus, I have to admit, next to Gentleman Ghost he's my favourite Batman villain. I made something for my minifigs so they don't have to collect dust anymore. 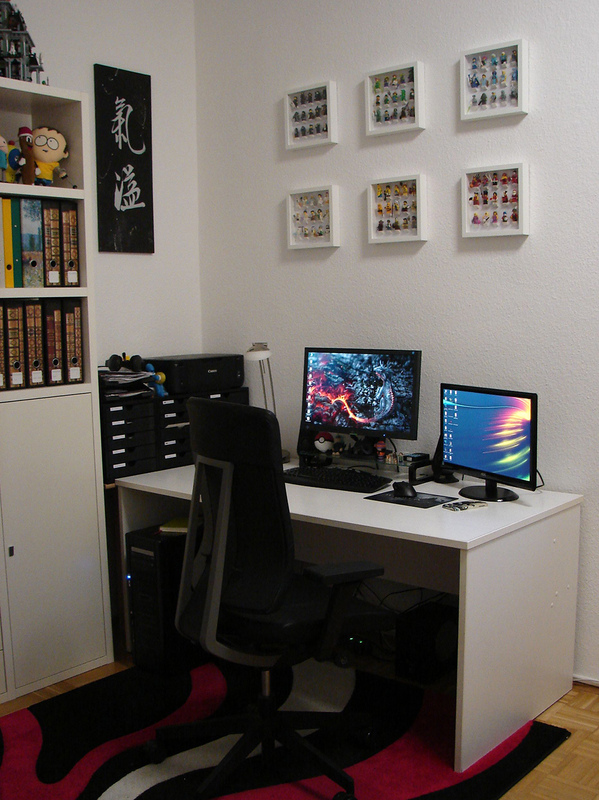 Ikea RIBBA frames are perfect for this because there is enough room behind the glass and they are quite cheap. Then I ordered a couple of white Lego bricks as platforms and glued them to white cardboards. That's a really neat way of displaying them. My girlfriend and I need to do something similar with all of ours - at the moment they're arranged on shelves and they take up a ridiculous amount of room, plus they're an absolute nightmare to dust. I nearly bought some custom-made frames that I saw online recently (but were pretty expensive, especially when you factor in the postage from America), so it's good to know there's a decent alternative in Ikea. Yeah, personally I love that Two-face design; the colours are beautiful. I think my favourite set from the Batman Movie is Clayface - the build is genius. The only thing that's put me off buying it is the rather dull selection of minifigs it comes with, but I'll definitely be picking it up if I find it discounted somewhere. 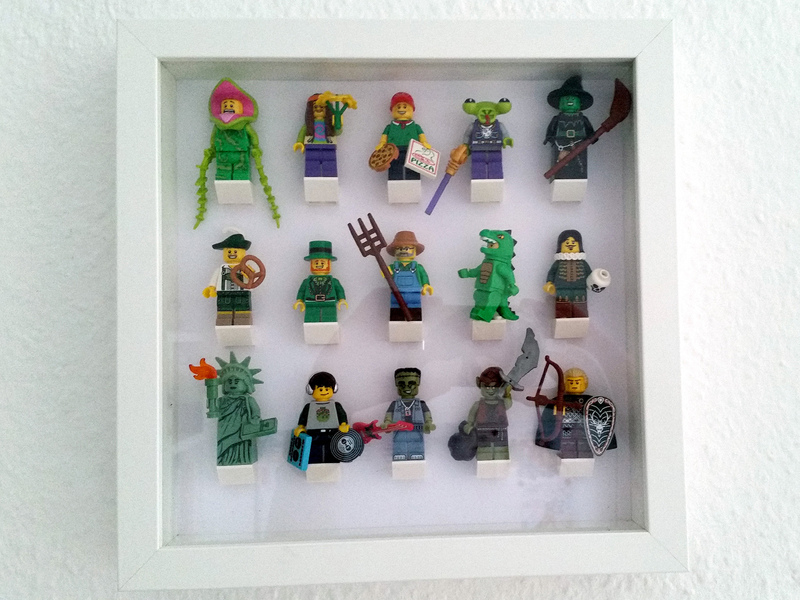 I use a lego plank to display my minifigures. I have no photos of it; I'll make one and show it to you in a few days. Brickset is helding now a Brickheadz contest, And I've got a couple of entries there, so wish me luck. Cool, what are your entries?